Dr. Howard Kim, Acupuncture Physician, is a graduate of Florida College of Integrative Medicine and Culinary Institute of America. He is also Fellow of Central Florida Institute of Chinese Medicine. Before taking up the mantle of Chinese medicine he spent fifteen years as a professional chef in New York City, Baltimore, and Orlando. He has studied Classical Chinese Medicine and Contemporary Chinese Pulse Diagnosis under Dr. Brandt Stickley, Lac. 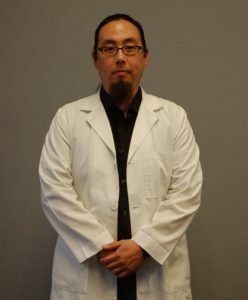 Dr. Kim practice includes Classical Homeopathy and Homotoxicology. He also teaches seminars in food therapy and cooking.